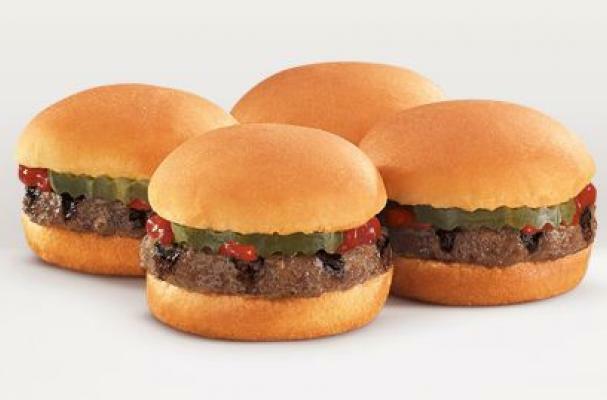 Burger King is reintroducing miniature burgers in the form of the BK Burger Minis and BK Chicken Minis. The bite-sized beef patties come with dill pickles and ketchup, while the chicken patties are topped with dill pickles and mayo. Although the BK Minis have fewer calories than their grown-up brethren, don't look to these itty-bitty burgers to whittle your waistline. The BK Burger Minis have 420 calories and 720 milligrams of sodium, while the BK Chicken Minis have a whopping 810 calories and 1480 milligrams of sodium, according to GrubGrade. This article makes a saaaaad sodium provider bear.